I think you have been missed for a long time dear Docster,How are you now?? 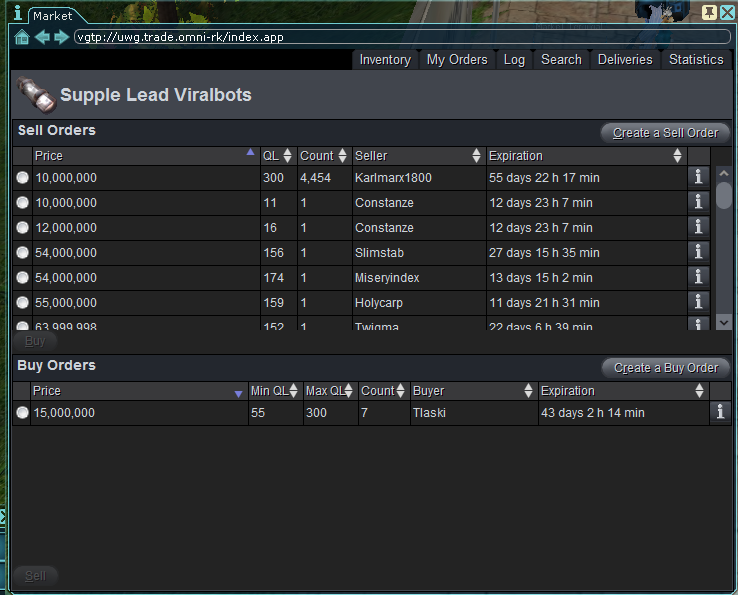 Basically someone is selling ql 300 supple's for 10mill; 4000 of them... dupe bot fail. Well as of this morning those bots are gone, not sure what was done. But they are gone. So I finished Witcher 3: + DLC my review of the game. General / Re: AO on Steam.. this year ?